War of the Worlds… The first meeting of champions from both the upstart American Football League, and the established National Football League took place on January 15, 1967 in Los Angeles. NFL Films called it “Spectacle of a Sport” and it was when you think about it. Separate leagues, separate television contracts, and even different balls made the two leagues as different as night and day. The AFL was the league that went for 2 pt conversions and had the names of the players on the back of the jersey where the more established NFL was more conservative by nature. 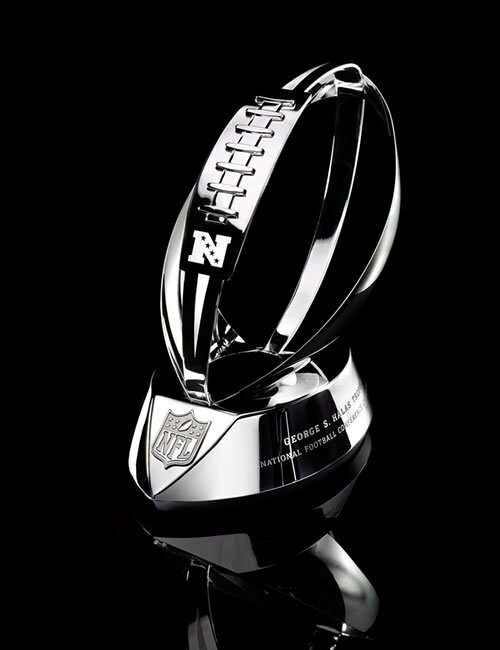 Even the Super Bowl trophy was new as Pete Rozelle commissioned a new trophy produced every year. Up until that point the championship trophy rotated to the winning organization for that year. So the NFL trophy that made the rounds stayed in Green Bay at the conclusion of the 1965 season when the Packers dethroned the defending champion Cleveland Browns 23-12. How far had the AFL come in the 6 years since its inception? The Chiefs were behind only 14-10 after a 1st half where the Chiefs held their own however the game changed on a Willie Wood interception in the 3rd quarter, running it back to the Chief 5. A few touchdowns later and the Packers were on cruise control 35-10 which was the final. 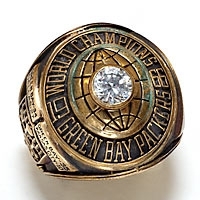 In my opinion, this was the best of the Green Bay champions of the 1960s. They were more diverse than previous champions and the mixture of young talent with the veterans made for a lethal combination. The exact peak where veteran savvy and physical ability meet before aging would slow the Packer machine. You still had Jim Taylor as the bludgeoning fullback where at halfback Elijah Pitts along with rookie Donny Anderson supplemented aging Paul Hornung. 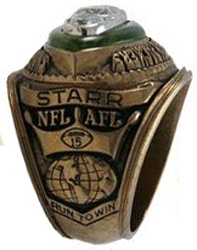 Bart Starr was now the chief QB in the league who threw for 4TDs in the ’66 NFL title game against Dallas and 2 more against the Chiefs in the Super Bowl which doesn’t include a 64 yd TD strike to Carroll Dale that was called back. What 3 yards and a cloud of dust? This team wasn’t just running sweeps anymore. Speaking of sweeps: Forrest Gregg, Jerry Kramer, Bill Curry, Fuzzy Thurston (always loved that name), and Bob Skoronski were still supplying those holes and were the essence of the Packers. They beat you on the line of scrimmage…that plain and simple. Forrest Gregg went on to win a 3rd ring with the Cowboys in Super Bowl VI and coached the Cincinnati Bengals to Super Bowl XVI. Kramer became the voice of that team thru a series of bestselling books. Curry went on to play in 2 more Super Bowls with the Baltimore Colts and coached at the University of Alabama as well. These men paved the way for many a 1,000 yd rusher in the 60’s. TE Marv Fleming has to be added to the mix since TEs had to block back then. Fleming replaced Ron Kramer as Starr’s short pass option over the middle. He would go on to play in 5 of the first 8 Super Bowls (3 with Miami) becoming the first man to win 4 rings (the Charles Haley of his day). Carroll Dale, Boyd Dowler, and “out all night” Max McGhee were steady, heady receivers. Max went on to enjoy success in the restaurant business… Chi Chi’s I believe. Again…winning on the line was the name of the game with the Packers when it came to defense: Willie Davis, Ron Kostelnik, the late Henry Jordan, and the late Lionel Aldridge were draped on Len Dawson in the second half of Super Bowl I like a tailored suit. They were a veteran group that did its main job of stopping the run, and in a 4-3 defense, keep blockers off of the MLB. Since the late Ray Nitschke skated into the Hall of Fame, I think it’s fair to say they did it well. How many highlights do you see Nitschke making plays tackle to tackle? Tons. Texan Lee Roy Caffey and Hall of Famer Dave Robinson were solid at outside linebacker. Robinson along with Bobby Bell were the prototype to the modern outside linebacker with their size and range when the league brought in the Robert Braziles, Clay Matthews, Lawrence Taylors and Ricky Jacksons in the 80’s. The late Bob Jeter, former USC quarterback turned safety Hall of Famer Willie Wood, Tom Brown, and Hall of Famer Herb Adderley (converted RB from Michigan State) was simply the best defensive backfield in football…maybe football history. Who could read a QB better than a former QB? When it came to athletes Adderley in his heyday was Deion Sanders without the flash. 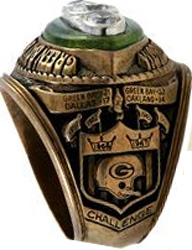 Adderley won another ring in Super Bowl II with the Packers then would go on to play in 2 more Super Bowls with Dallas, winning in Super Bowl VI along with Forrest Gregg. However Adderley was still a starter and blanketed Hall of Famer Paul Warfield, of Miami, in that game some 5 yrs later. Another look at this team tells you another story. Lombardi coached at a time when it was expressed Italians / Catholics weren’t viewed as football coaches. See how he didn’t get the job to replace Jim Lee Howell in New York originally. This is at a time where would be voted President back in the late 50’s. I bring this up because as you look up the racial make up for most teams in the 60’s, the Packers more than any team did more for diversity and breaking quotas than any other team. At least in the NFL. This group was champion a few years before the 1969 Chiefs who became the first team to win it all with minorities comprising more than half their roster. Yet Lombardi had black linebackers and safeties on his defense or in the “thinking man spots” that wasn’t prevalent in the 1960’s NFL. Lombardi had a lot to do with that obviously and they were constant champions. Not 3 in 4 yrs, not 2 Super Bowls in a row, not 4 Super Bowls won in a decade. They won half (FIVE) of the decades championships, there must have been suicidal Bears fans everywhere in the 60s. Aside from football X’s and O’s this football team will never be forgotten. 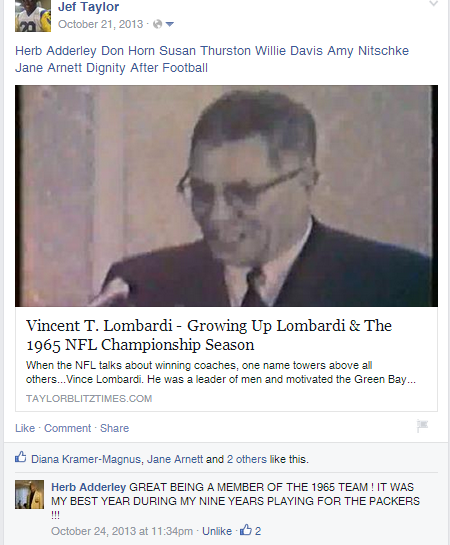 When the NFL talks about winning coaches, one name towers above all others…Vince Lombardi. He was a leader of men and motivated the Green Bay Packers to great heights in the 1960’s. His team won half the NFL championships of the 1960’s while appearing in 6 total. No team has won more than four in a decade in the modern era. Yet when folks talk about a three-peat, everyone keeps forgetting Lombardi and his Packers achieved this feat. Think about that for a second… Chuck Noll would have had to take the 1970’s Pittsburgh Steelers to two more Super Bowls to equal that feat. Yet there is debate on who was the greater team. You have to give the edge to Green Bay because they did win three in a row. When they say no one has achieved this in the Super Bowl era, that isn’t entirely true. The two that concluded this 3 year period were victories in Super Bowl I & II. 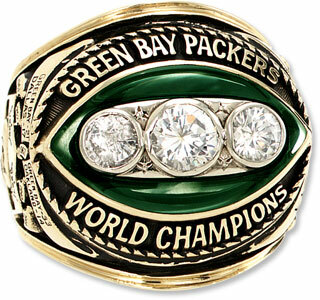 Yet there is one season that seems to go overlooked of the Lombardi Packers…the 1965 NFL Championship team. 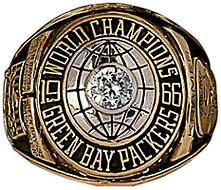 The 1961 Packers were known for Lombardi’s first championship. It’s the 1962 team that was remembered as Lombardi’s greatest and strongest team. Only a Thanksgiving Day ambush 26-14 loss to the Lions kept them from going undefeated. They were 13-1 while outscoring the opposition 415-148 while repeating as champions. Of course his ’66 squad won the first Super Bowl and the ’67 team was known for winning The Ice Bowl then Lombardi’s last game, Super Bowl II. However when you go back to 1965, the Green Bay Packers were trying to re-establish themselves among the NFL elite. They had a chance to win 3 in a row after ’61 & ’62, however Paul Hornung’s season long suspension for gambling short circuited that effort. After watching the Bears and Colts win their conference in 1963 and 1964, the Packers were back to contend. However there was a new bully on the block. The Cleveland Browns powered by Jim Brown had won it all in 1964, and were looking to repeat in 1965 to take their place among greatest league champions. In their 23-12 victory over Cleveland, the Packers not only ended Jim Brown’s playing career on a down note, they would be the last to hold the rotating NFL trophy that moved from champion to champion. The following year was the first to be played under the merger agreement and the Tiffany Company started to produce a Super Bowl Trophy every year. Lombardi had driven his team back to prominence where they would sit atop the football world for three years. They had unseated a reigning champion to do it. That can’t be underscored. After winning 99 games in 9 years, 6 conference championships, and five world championships, how does one follow that type of success?? 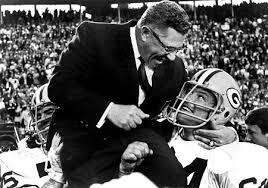 Most of the Packers players had mainly played for Vince Lombardi and were used to his demanding, driving spirit. Bart Starr, Jerry Kramer, Fuzzy Thurston, Ray Nitschke, Willie Davis, Forrest Gregg, and Herb Adderley had all grown up Lombardi. Now as we look back should they have replaced the Green Bay legend with a coach that was similar in temperament?? Vince Lombardi will always be seen as the gold standard when it comes to NFL coaches. One unique aspects of his tenure and times are the broken stereotypes that were forged through his career. It was thought of at the time he wouldn’t become a head coach or be successful because of his Italian and Catholic roots. It was one of the reasons he didn’t succeed New York Giant Head Coach Jim Lee Howell, whom he served as Offensive Coordinator during the championship years 1956-1958. Only once he was hired and successful in Green Bay did they try to lure him back. Ironically he beat the Giants for his first two championships. Prejudice is bad for business. Furthermore the NFL during that time was one where black players were unable to play the “thinking” positions on defense such as linebacker or safety. There had to be a sensitivity to that plight because of the stigmas Lombardi himself faced. Although Willie Wood was unable to play quarterback in the pros, he went on to be an 8 time Pro bowl participant and became a Hall of Fame player. The same for Linebacker Dave Robinson, who was just elected to the Pro Football Hall of Fame this past February. Ryan and The Chancellor at Vince Lombardi’s statue outside Lambeau Field 9/21/17. One reason his legend has become so large is he passed away in 1970, just 3 seasons removed from coaching his great Packer teams. This leads to several question. He coached the Washington Redskins to a 7-5-2 record in his only season of 1969. Ironically his first season in Green Bay was 7-5 in 1959. Would he have completed the rebuild of the Washington Redskins?? Remember they did play in Super Bowl VII just 3 years later. Would his legend have been damaged had he only a moderately successful career had he lived longer and coached the Redskins into the mid 1970’s?? If he had gone back to New York and coached the Giants in 1960 would he have been as successful as he went on to become in Green Bay?? After his passing in September of 1970, the NFL decided to name the Super Bowl Trophy in his honor. In such a condensed time of 9 years, his teams won 5 championships. Don Shula, the NFL’s all time winningest coach won 2 in 33 years. Tom Landry won 2 in 29 years. All time greatest coach in NFL history?? You better believe it. Of all his great teams, it’s the 1965 team that seems to be forgotten. After all they were the first in the only successful three-peat in NFL history won on the field, and is the chief reason he’s immortalized. Sitting at Vince Lombardi’s Desk inside The Packers Hall of Fame at Lambeau. When I learned that Jerry Kramer was skipped over as a senior nominee for the Pro Football Hall of Fame, I just had utter contempt for the sportswriters who seem to be the gatekeepers of history. It felt like they were going to work against the groundswell of support for Kramer and the passion from fans talking about his exclusion. I think the selection committee needs to have a few more wrinkles thrown into the mix. Sure there are personal reasons as to why I would think a player deserves to be in the Hall and is the foremost problem with the voting. There is no way to ignore your own thoughts or feelings about a person’s nomination being put before you. There will be partiality. You’ll remember that last year (______) didn’t vote for my guy so I won’t vote for his this year. That is human nature. So you have to do it by a committee there would be no other way. When I think of the Pro Football Hall of Fame, I think of a treasured museum for everyone who ever played the game, at ANY level, could appreciate. The ongoing history to the greatest sport there is and the telling of that story. Don’t tell me that Emmitt Smith is the greatest if you can’t tell me who Jim Brown was, or OJ Simpson, Ernie Nevers, or who Steve Van Buren was. Someone saying he didn’t see Bronko Nagurski or Red Grange isn’t enough. 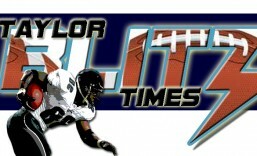 There are books, the Taylor Blitz Times or more important this incredible museum housing all this history. That’s what makes this building significant. With it’s enshrinees and special wings to memorable moments, the 92 year history of the NFL, the 10 years of the AFL, and early football pioneers before the NFL, come to life. This is where fathers get to teach sons moments in history… Like the famous “wristband” of Baltimore Colt running back Tom Matte from the 1960s. When injuries to the Colts quarterbacks pressed Matte into service, Don Shula supplied him with a “wristband” with the play calls on it for him to remember. That is how he got through the game as a fill in quarterback. Not only does that legacy live on to this day with every NFL quarterback wearing one, but right now as you read this…there is a father or mother teaching their son that story and looking at the actual “wristband”. What dreams and goals will that kid aspire to upon learning that and tossing the ball with his father the next day?? What if that kid grows up to be the next Dan Marino or Johnny Unitas?? This is why it is important the players, coaches, innovators, owners and their stories should be here to be told. Its for us to relive moments and future generations to learn how things came to be. The special men who were the embodiment of the very spirit of football. Last would be one where the fans would have a vote. A write in candidate with a specific number of write in votes by the fans and former players. That number to be determined and the fans (who are the paying customers) would have a little say. Number to be determined later by a committee. If this were to be done there would be a better selection process and those voting would be held accountable for their vote. Why have the Hall of Famers votes confidential?? They belong to an exclusive club. Its like the Ray Nitschke luncheon. That is not for us… that is for those players who belong to that club to share in it’s exclusivity about what it means to be there and how they are their brother’s keeper. They don’t have to share who they think should be in and why. They do so with a vote. My feelings on the selection process has been this way for many years yet I had the chance to see it from the other side. Those of you who have been following this blog know that I have my own nominations for players who should be in the Hall of Fame. One of the first articles I wrote was on Jerry Kramer last year on July 26th. Now I’m not exactly sure as to where it took place but I shared many videos of the 1960’s Green Bay Packers here and on Facebook. I came to know Alicia Kramer who spearheaded a great campaign to help her father get inducted to his rightful place. She asked me to be an administrator to the facebook page Jerry KramerHOF to which I was honored. Seriously, I read two of his books as a kid including Distant Replay, which is one of the reasons I love and write about Pro Football. The fact that he had read and enjoyed a few of my stories on Facebook were a reciprocal part of the journey and why I share with other fans what is on my mind about football and the history of the game. I contributed as often as I could with videos and such and wrote a letter to “The Hall” pleading for his nomination. I remember uploading the 1968 Green Bay Packers America’s Game to the page. To be right there from the start of that page and watch her work grow to include Hall of Fame members lending their support and passionate fans as well, it is something incredible to be a part of. When the senior nomination came back without Jerry Kramer’s name on it, I took it personally…and still am. There were countless letters written by enshrinees such as Lem Barney, Jim Kelly, Bob Lilly, Dave Wilcox just to name a few yet Kramer’s nomination comes down to writers over former players?? No way. All the while from my first article to placing it on my Facebook page several times, at least one person would ask “Jerry Kramer is not in the HOF?” every single time. I also shared an email exchange with Kevin Greene when he didn’t make the finalist round this year. These players who deserve their legacies to be secured earned this right. Those gatekeepers to history need to be guarded more by the enshrinees themselves than writers. That is what I learned from this last year through Alicia’s work. If it were up to them, Kramer wins by a landslide. Yet its time for forward and positive energy. Onward to 2013 and his certain nomination. Dedicated to the memory of Hall Of Fame Member Steve Van Buren who passed away last week. RIP You were a great running back and a true warrior of the game. Thank you!! 2011 Predictions Continued …and the winner of the NFC is…?? 1. Green Bay Packers – NFC North Champs w/ homefield advantage throughout playoffs. 2. Atlanta Falcons – NFC South Champs w/ second seed in the playoffs. If the Packers stumble in the divisional round, Falcons would host the NFC Championship Game. 3. Philadelphia Eagles -NFC East Champs. Will participate in the wildcard round and can only host the NFC Championship Game if #3 seed and lower meet. Will host the 6th seed wildcard weekend. 4. St. Louis Rams – NFC West Champs. Will participate in the wildcard round and can only host the NFC Championship Game if #4 seed and lower meet. Will host the 5th seed wildcard weekend. 6. Tampa Bay Buccaneers – The second best record of a non division winner and will face the 3rd seed during Wildcard weekend on the road. Cannot host any playoff game no matter what. Now that the lesser teams are vanquished, how would the playoffs line up. Try the St. Louis Rams hosting the Detroit Lions during wildcard weekend. This would be a game to determine who would have the upper hand between two teams that would figure prominently in the Super Bowl chase in the upcoming years. In a game like that we would have to take the team with the most playmakers and that would be the Lions moving on. In the other wildcard matchup, Tampa would face Philadelphia in a matchup to mimic those from the 2000 -2003 where a physical battle would be determined by mistake proof football. The big question would be “Can Philadelphia stand up to the battle-hardened Buccaneers? ?” We say no…just like in 2010 and most of Michael Vick’s career he would be recovering from a late season injury and wouldn’t be 100%. This game would be a 50/50 toss up and would tilt in the upstarts favor if the game stayed tight. In a game like this, the Eagles would have to get on top of the Bucs, 14- 0 or 20-3, and get them out of their gameplan early. Being a finesse team would play against the Eagles and they’d go down in wildcard weekend in the second upset of the playoffs. On to the divisional round where the big boys would then kick things into high gear. First the Buccaneers would take on the Atlanta Falcons for the third time in the season and would play them to a stalemate. However being that the Bucs were in their first foray late in the playoffs you’d have to figure the Falcons would force an additional turnover that would send Tampa to defeat. The Falcons would then make the pilgrimage to the NFC Championship game for the second time in their history. There they would take on the Green Bay Packers who would best a Lion team who was in the playoffs for the first time in 12 years. The Lions would be arriving on the scene a year too early for their best effort and would lose to the Packers setting up the NFC Championship Game. Atlanta Falcons @ Green Bay Packers. In a rematch of the previous year’s divisional playoff game won by the Packers 48-21, this would be a little closer based upon the cold weather. Yes, we’re saying that being in Lambeau Field would benefit the Falcon defense. The year before, the Falcons were carved up in a controlled environment at home. In the arctic climes of Lambeau, the playing style would bring the teams closer together in terms of score. Yet the Packers would prevail 26-17 to make it to their second straight Super Bowl with the George S. Halas Trophy presented by former Packer legend Jerry Kramer. Hopefully Kramer would be there to deliver the trophy on the backdrop that he would be a finalist for the Pro Football Hall of Fame. The Packer faithful would then descend on Indianapolis in search of their 14th championship. Would they get it?? Sorry, you’ll have to stay tuned for that. As for this look into the crystal ball… Green Bay would represent the NFC in Super Bowl XLVI… So who would they play? ?